​I’m an artist working in Central Florida. I studied with John Baldessari, Alexis Smith and Michael Asher in the 1970's at CalArts and graduated with an MFA in 1976. After leaving school I stopped making art to pursue a career in printing, graphic design and education. After I retired in 2014, I started making art again. ​After leaving Cal Arts my wife and I started a craft printing business dedicated to traditional letterpress printing including casting and setting metal type. We also experimented with paper making and alternative illustration processes. Under the Kenmore Press moniker we published a number of books of poetry including works by Arthur Lane, Robert Peters and the former Poet Laureate, Billy Collins. 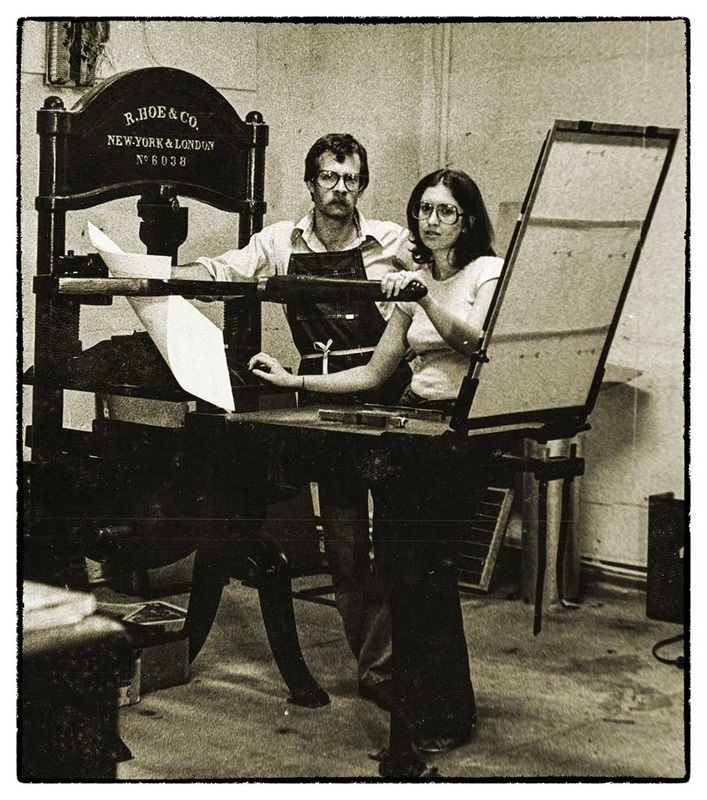 ​We moved the press from Los Angeles to Pasadena California and took the name Anachronic Editions. We stated writing and publishing more ambitious projects including Collotype:Being A History, Practicum and Bibliography and A Ludlow Anthology. During this time we moved to Winter Haven Florida to build a house. Eventually we closed the press and I started teaching Graphic Design at local schools.I retired in 2014 and began making art again. 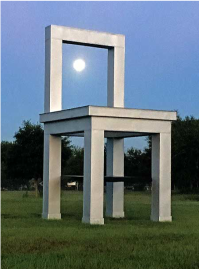 The first project I completed, after my retirement was a large, outdoor sculpture titled HOHO Chair, based on an idea I had in the early 1990's. Essentially, the piece is a 24 foot high potty chair that is pointed directly towards Marcel Duchamp’s installation Etant donnes at the Philadelphia Museum of Art. The chair operates as a wormhole, or portal. If something were to drop through the hole in the seat it would be whisked away to the installation. ​For more information about this project refer to the HOHO Chair page on this website. While working on the HOHO Chair, I started a group of digital prints I call the binocular series. Inspired by the holes in the door of Etant donnes. Each canvas includes two circles that contain images combined with a statement. I have also started additional series of works based on other compositional strategies.